Cotton tip applicator sticks and tips are manufactured to uniform length and shape. Cotton tips are highly absorbent. 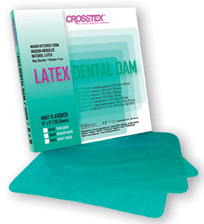 Sterile applicators are packaged in convenient peel-down pouches. Precision cut-polished smooth edges. Sturdy, uniform in size and color. Sterile blades packed in convenient peel-down pouches. Cotton Tipped Applicators, 3 in. and 6 in. Clive Craig, Coin envelopes, white craft paper open end. 3 1/4" x 2 1/4". The syringe tip cover is designed to be used with virtually all air/water syringes. Easily slides over the existing syringe tip. No conversions, modifications, or adapters are needed. The syringe tip cover aerates the water spray and does not disturb the pattern of air flow. Improves the syringe appearance. Mixing pads have a non-slip water-proof backing. Each lint-free sheet is plastic coated on both sides. No penetration of material from one sheet to the next. Compatible with all dental materials. 32 sheets per mixing pad. Pic-N-Stic is a 2 1/2" long plastic stick, 2mm in diameter, with an adhesive tip at one end. It easily picks up and places those small objects that fingers simply were not made to handle, and it is also used to pass objects from one person to another. Use Pic-N-Stick as a handle for crowns, inlays, veneers, bands, brackets, files, reamers, clasps, precision attachments, implant screws and numerous other objects. The Endoring II enables the clinician to directly place, store, measure and clean endodontic hand and rotary instruments within the operating field. It reduces the risk of cross-contamination and minimizes the passing of sharps between dentist and staff. Using the Endoring II helps make endodontic procedures safer and faster. Endoring Foam - Open cell foam can be steam autoclave processed prior to single use. For convenience, endodontic instruments can be pre-loaded into the foam prior to processing. Single-use only. Laser Etched Endoring Ruler - Autoclavable detachable metal ruler has precise laser-etched 1/2mm markings for files up to 37mm in length. 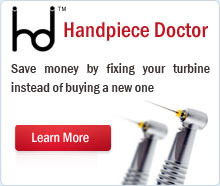 Rapidly and accurately calibrates instruments for right and left handed clinicians. Disposable, multi-purpose, light protected storage wells for bonding agents and composites. Store light-sensitive bonding agents, sealants and composites in four wells protected by a light locking lid.